Are There Other Special Needs Resources? If you have a loved one with special needs, you have most likely done a great deal of research. There are many resources to help you become a well-educated advocate for your loved one. And you may already be aware of some of these websites, which are helpful to keep you up-to-date. In any event, we hope that the following are beneficial resources to you. Download a free copy of the Handbook for Trustee provided by the Special Needs Alliance. Social Security Benefits – There are two sites that may be of assistance. One is the government’s Social Security site. The other is a Benefit Eligibility Screening Tool. Another helpful useful online special needs resource is Exceptional Parent website. 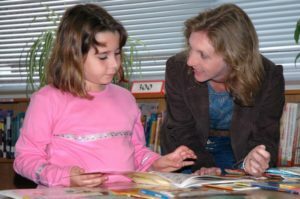 The Center for Parent Information and Resources is another important resource if you have children with disabilities. To find the Parent Center for your state click here. The Arc is a 60 plus year organization dedicated to advocating for the rights of individuals with intellectual and developmental disabilities. Visit the Nevada Arc Chapter. What about other resources specific to Nevadans with Special Needs? In addition to the valuable information and support provided by so many organizations such as those listed above, an experienced lawyer can help arrange your estate planning in a way that is most beneficial to your loved one with special needs. This may include the use of a Nevada Special Needs Trust. Call (702) 894-4110 for a free initial estate planning consultation.